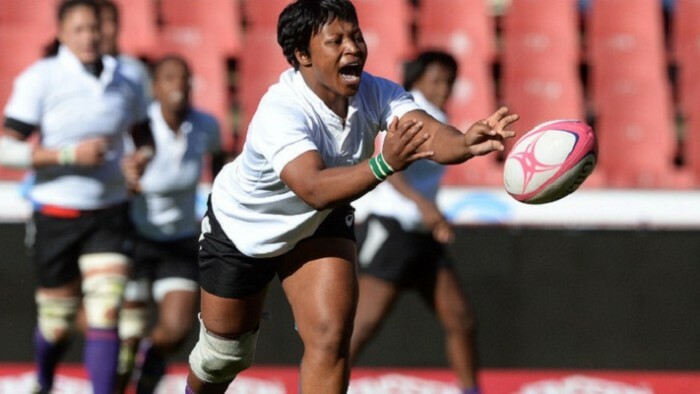 Coach Lawrence Sephaka has revealed the names of the 26 women who will represent South Africa at the Women's Rugby World Cup in France in August. The squad includes 11 players with prior World Cup experience, who will be aiming to guide the inexperienced contingent to glory in the tournament that takes place from August 1 to 17. Number eight Mandisa Williams will captain the side. She led the team in the 2010 tournament in England, as well as at the 2013 IRB Women’s Rugby World Cup Sevens competition in Moscow. Four of the 11 experienced players – Williams, flank Lamla Momoti, prop Cebisa Kula and scrumhalf Fundiswa Plaatjie – played in the 2006 and 2010 World Cup tournaments in Canada and England respectively. The other previous World Cup players are prop Portia Jonga, locks Nomathamsanqa Faleni and Nolusindiso Booi, flyhalf Zenay Jordaan, wing Phumeza Gadu and centres Ziyanda Tywaleni and Lorinda Brown. South Africa have been drawn to play in pool C with Australia, World Cup hosts France and Wales. Forwards: Celeste Adonis, Nolusindiso Booi, Nomathamsanqa Faleni, Rachelle Geldenhuys, Portia Jonga, Cebisa Kula, Thantaswa Macingwana, Lamla Momoti, Nwabisa Ngxatu, Asithandile Ntoyanto, Vuyolwethu Vazi, Denita Wentzel, Shona-Leah Weston and Mandisa Williams (captain). Backs: Siviwe Basweni, Lorinda Brown, Cindy Cant, Phumeza Gadu, Veroeshka Grain, Zenay Jordaan, Tayla Kinsey, Benele Makwezela, Fundiswa Plaatjie, Marithy Pienaar, Siphosethu Tshingana and Ziyanda Tywaleni.